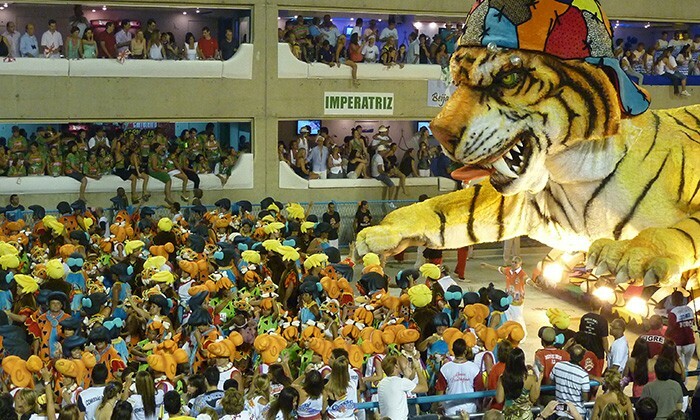 Whatever you’ve heard about Carnaval is true, and then some. For a week in February, Brazil all but shuts down as people hit the streets, beaches and parades to party like there’s no tomorrow. Each region or city has it’s own particular traditions, but the essence is much the same: lot of music, a lot of dancing, a lot of drinking, drumming, and a lot of celebrating in that special Brazilian way. 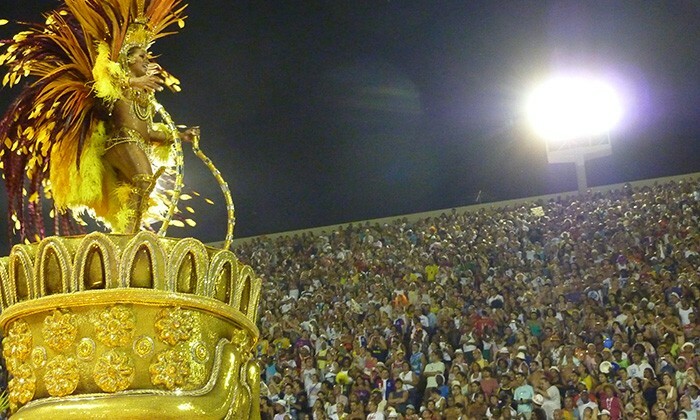 Rio’s Carnaval is the biggest and most famous. 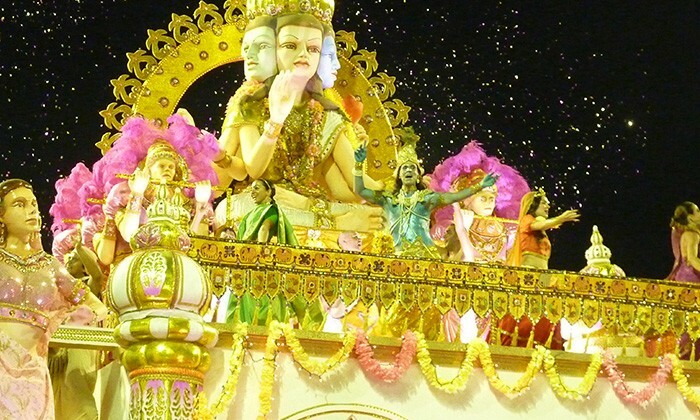 Whether you decide to join a loud street parade or take a seat inside the legendary Sambadrome, the atmosphere is electric and the eye candy ecstatic. There's no charge to join the parades and street festivals that sprout across the city. 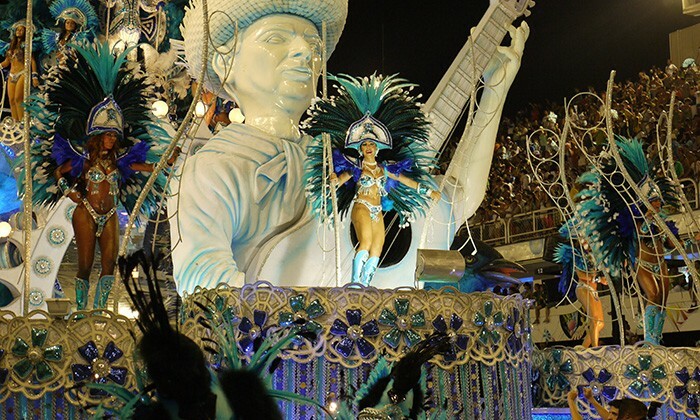 If you want to visit the more formal parades, like the Sambadrome, ticket prices vary depending on the seat you purchase. Be aware that accommodation and flight prices spike during the week. About Brasil has a good primer to get you started. Wheelchair friendly : Yes, but the crowds can get pretty thick. You can't visit Brazil without experiencing a traditional, gut busting churrascaria. Different types of grilled meat keep coming and coming, accompanied by extensive salad bars and buffets. In Rio, the most famous is Porcao, which has multiple locations. Visit Rio Carnival for more info. High End: The iconic Copacabana Palace, aging but still impressive. Trendy: Celebrities flock the Fasano in Ipanema. Traffic gets particularly hectic during carnival week in Rio. 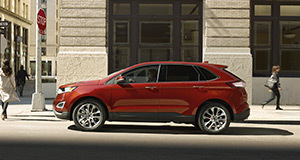 Consider using the public METRO system and budget extra time for traffic. Rest up during the days (if you can). Carnaval is an all night affair. I put together a list of things to do in Rio if you want to keep yourself busy during the day. Hydrate (it gets pretty hot in February) and with the extensive crowds, it's best not to carry anything valuable on you. Lavish balls are another important aspect of Carnaval. The most prestigious in Rio is the Black Tie Ball at the Copacabana Palace Hotel, the city's most famous hotel. Guests are carefully screened while hundreds of people watch the red carpet, hoping to catch sight of their favourite celebrity. 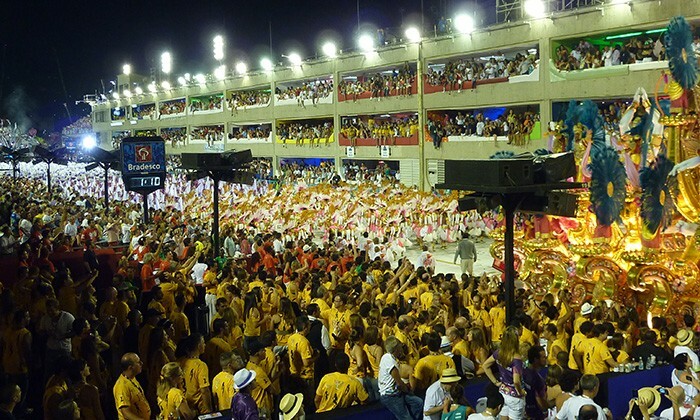 The Black Tie Ball takes place on the Friday night before Carnaval, and tourists can buy tickets, although they are expensive and highly sought after. Other balls take place around the city. Take a look. 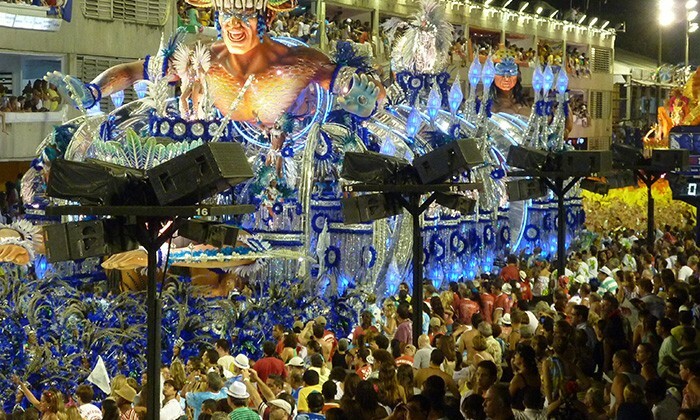 Does Carnaval in Rio belong on the Global Bucket List?